Join Us for an Unforgettable Musical Experience! Intensive Music Theater Training with Michael Dixon, Professor at Universität der Künste, Berlin. Staged Musical Theater Showcases Performed in Theaters and Amphitheaters throughout Tuscany. Includes hotel accommodations (double occupancy), breakfast each day, lunch and dinner Mondays through Fridays, airport pickup at designated times and locations, ground transportation to all performance venues, and all classes and coaching. Airfare, extra meals, insurance and excursions are not included. Thanks for checking out our web site! International Young Artists Project, Inc (IYAP) is a 501c3 Non-Profit Organization dedicated to providing an international experience for the pre-professional singer seeking exceptional training in vocal technique, repertoire development and performance practice. Our international faculty comes together from the USA, Germany and Italy, to share their expertise, their passion and professionalism in order to present an intensive training program in Music Theater, Opera, Oratorio and Italian Art Song in studio and public performances. Over the past 6 seasons, we have performed throughout Tuscany in fully staged opera productions of LE NOZZE DI FIGARO, SUOR ANGELICA, DON GIOVANNI, GIANNI SCHICCHI and in musical theater showcases highlighting selections from GREASE, HAIRSPRAY, MAMMA MIA, the works of Rodgers and Hammerstein and many other favorites from the Broadway stage. We’ve also been guest performers in the Festival di Musica Sacra in the lovely city of Cortona, performing Mozart’s REQUIEM and Rossini’s STABAT MATER, and this year the Vivaldi GLORIA. In 2016 IYAP performed an evening of solo sacred music in the Basilica di Santa Maria in Milan, and in summer 2019 will perform a sacred program in a cathedral in Rome. Our Italian voice faculty provides expertise in Italian vocal technique, diction, repertoire selection and performance practice with recitals performed for local audiences. Our international faculty of opera professionals coaches students in opera scenes and stage them for public performances. Students enjoy learning from an outstanding faculty in the incredibly historic and beautiful surroundings of a 1000-year old Tuscan village. Private lessons and master classes are offered weekly. 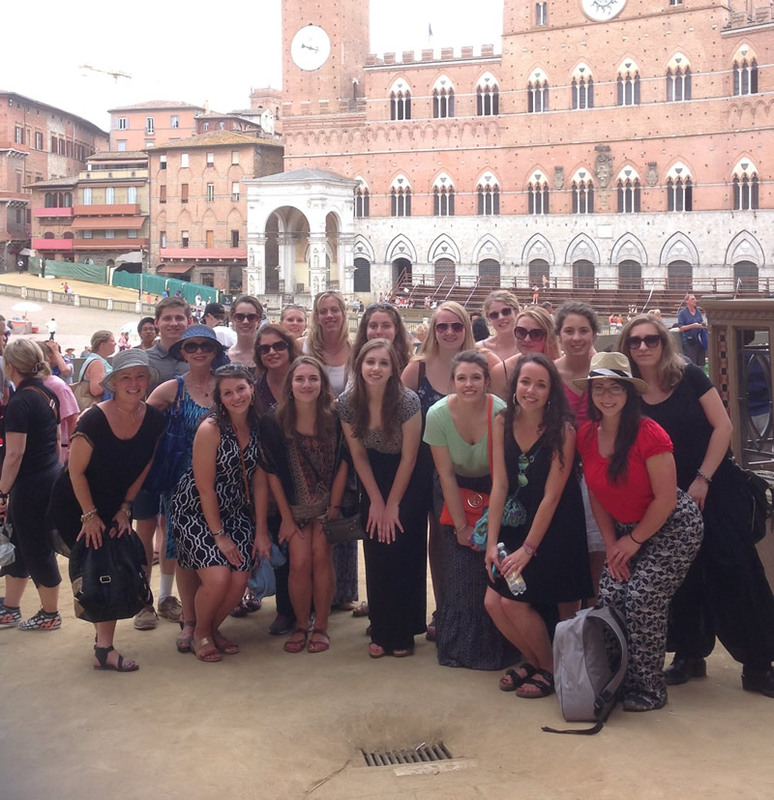 Performances are scheduled throughout the three weeks in several Tuscan towns, where students are invited to visit museums and other cultural sights and soak up the authentic Tuscan culture. IYAP offers a great value and incredibly enriching experience for those students who are able to participate; however, some of our applicants are unable to cover the costs of tuition and airfare, and therefore rely on scholarship assistance. As we are a 501c3 organization dedicated to educational purposes, your generous donation can be a WIN-WIN! You can gain a tax deduction while helping a very deserving, talented singer join us this summer on a life changing experience with IYAP. Please consider making a donation today! We thank you for your financial support, and for your confidence and trust in our mission.